I got my confirmation email nearly two weeks after ucas track. got an offer for sport and exercise science! Who's got offers for law? Sports exercise science and coaching? Has anyone got their NTU Id through yet even though you've already chosen your firm and insurance? Well I got my NTU ID by email ages ago because I emailed them to change my course but email the admissions team and they'll tell you! If not you'll get it through the post like a few weeks before the accommodation booking starts. Ah yeah that makes sense, thanks I was wondering as i got an email about course fb groups but not the general uni. After results day in August NTU sends out a special Starting at NTU guide with more information about the social media groups for 2015 starters. Keep an eye on our official NTU Facebook and Twitter in the mean time for more information. I just wanted to make you aware that the University is closed from midday today (24 December) until Monday 5 January. Our Admissions team have worked hard to process as many applications as possible ahead of the annual closure period, however due to the volumes of applications received just before Christmas, you may not hear from us until around the middle of January. If you have any questions during the closure period, check out Ask NTU, which answers common questions that our Admissions and Accommodation teams are asked. There's still time to submit your UCAS application if you haven't done so yet - the deadline is 15 January 2015. 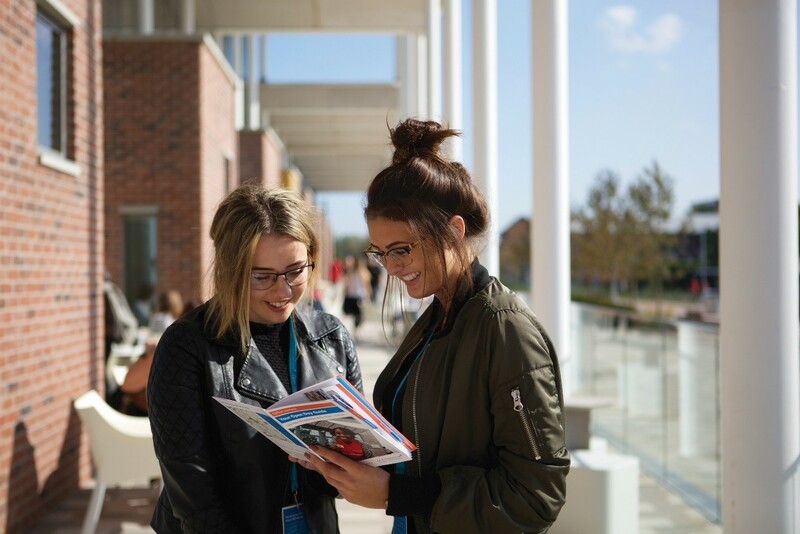 Our Admissions team have put together some useful advice and guidance about what they look for in an effective personal statement, to help you out. I wish you a very merry Christmas from everyone at NTU! just the sport and exercise science! what is trinity square like for student accommodation ? first year ? I've applied to study Accounting and Finance with a placement year. I didn't go to the open day so I don't really know a lot about the university but the course description looks really interesting. Anyone else applied to this course? I have a conditional offer. Thank you I didn't know they had that on offer. I think I'll go to that and then make a decision from there. They will send you an info pack nearer the time of the open day. Manchester. If that's north enough for you? my UCAS was sent off just before christmas so no offers for me yet, has anyone else on here applied for equine courses?